The story is about a girl named Yoo-Hye-Jung (Park-Shin-Hye) who experienced family hardships in her youth, the impact it made in her facing her past issues about forgiveness, falling in love, letting go and healing. In becoming a doctor, her life revolves in treating her patients as well as interacting with her colleagues; the different kinds of lives Doctors are facing. Korean drama fans all over the globe know that this drama combined two of the most popular celebrities in South Korea. Having Park-Shin-Hye, one of the highest paid actresses of her generation and Kim-Rae-Won, the country’s prime drama heartrob in the 2000s; gives anticipation to their K-Drama that this drama will soar high with their superb acting skills and superstardom. Actress Park-Shin-Hye portrays a teenage gangster who has issues surviving life’s adversities, found refuge in her grandmother, admired her high school teacher then turned into a successful neurosurgeon. This role embarked new heights for the fans as she has moved into maturity in her role from sweet teeny bopper flicks in the past. With her pretty looks plus a hard side in Hye-Jung’s character, viewers will surely sympathize. The character’s metamorphosis from a being a rebellious youth to a strong doctor transitioned gorgeously. Though seen as quarrelsome with fight scenes, her charming looks still penetrated the scenes. Her portrayal as an adult neurosurgeon older than her age showing strong will and confidence is remarkable. The male lead, actor Kim-Rae-Won who play Hye-Jung’s high school teacher, Ji-Hong not only added star power to the tandem, he had a lot of contribution to the romance aspect of the story, and he supported his female lead effectively providing balance in the development of their roles as the story progresses. Knowing that it would be a Shin-Hye, Rae-Won tandem before watching made a lot of Korean drama enthusiasts curious on how the two leads would produce effective romance feels in spite of their age gap. There is this masculine aura in Rae-Won that spices up the scenes like whenever they had a kissing scene. An icon of his generation, age does not seem to be a hindrance for pairing him with a much younger female lead. Both of their acting is natural and effective. FORGIVENESS: The characters’ past are complicated due to pain imparted by close people in their lives. Forgiving themselves to forgive others is taught and the struggles they went through to overcome the pain. LOVE: Loving someone in spite of age, sacrificing for someone you love, how it could make you healed and happy in the end. FAMILY: Each character does have a messed up life. Having a support figures in their lives paved way for their growth as a person. They have been a big part of what the characters have become. They are the ones who inspired them but there are also who gave them pain. MEDICINE: Viewers could learn how hard it is to be a doctor, how they handle medical situations to save lives. I really commend those operating room surgery scenes, Korean’s are so meticulous in their dramas that watching will make you feel that they are really operating in a true surgery room. They also have focus on the patients’ lives in spotlight and most of them made me cry. 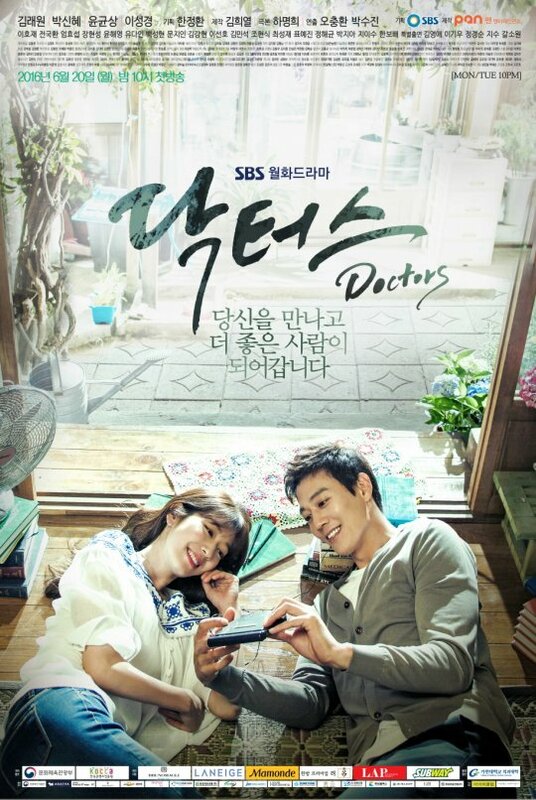 The series is a good watch not only for its romance theme but those who loves watching medical related dramas. Its combined themes could give so much moral lessons about life, love and letting go of hatred and pain. There also are light scenes that could make you smile. It is worth giving a try not only for Korean drama fans.